PCS PTY Ltd from Australia has been one of Tecfluid’s main partners for more than 26 years. After so many years, we are sure that Mr. John Lane, Managing Director, can give us a very valuable point of view about all these years doing business with us. Tell us John, how did you know about Tecfluid? It was such a long time ago I do not remember exactly. 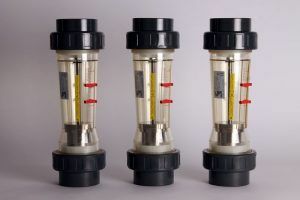 We were looking for some flow and level measurement equipment to add to our product program and this was before the internet was available for searching. Somehow, we established contact and communication was mainly by fax. Why did you decide to work with Tecfluid? Was it the first time you worked with a Spanish supplier? Yes, it was the first time I worked with a Spanish supplier. I decided to work with Tecfluid because they appeared to offer product of good quality that was suitable for use in heavy industry. Did you find any difficulties in the market when introducing Tecfluid products? If yes, how did you solve them? Yes, there were a lot of problems when we began introducing Tecfluid products into our market. Tecfluid was not a known brand name so we had to work hard to convince our customers that it was good quality. The biggest problem was a lack of technical information in English. We translated in the past much of the datasheets and manuals from Spanish to English so that our customers could more easily understand the technical characteristics of the products being offered. Fortunately, it is not like that anymore. How were the first reactions of your clients regarding Tecfluid products? At the beginning, we presented the Tecfluid flow and level measurement equipment only to our customers that we had a strong relationship with. They were wary about using an unknown brand but were open to trying the new product. Once we established some successful installations, we were able to generate good confidence in the Tecfluid name. Which is your preferred Tecfluid product? Why this one? The SC250 series because, for the right application, it is always very competitive for combination of price, delivery time and performance. The applications for this product often require special construction for high pressure and/or high temperature, this is always a strong point for the SC250 flowmeter, and delivery times for special configurations are usually much better than for the competition. Which Tecfluid products have more demand among your clients? 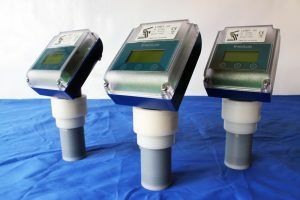 The plastic tube variable area flowmeters PSM21 and PS31. You are talking about flow products. What about level range? Typically the Ultrasonic level Transmitter LU Series and By-Pass level gauge LT Series are the most significant of Tecfluid level products for us. We have had some good projects where the LTL106 model was used in ships in our Navy. 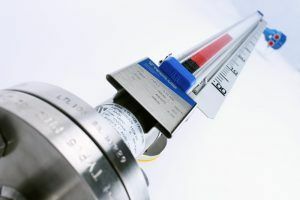 Many of your level products have the full length of the measurement range which can be very long and difficult for transport as we must use air freight. There are also local manufacturers of equivalent products so it is difficult for us to be competitive when we have to add considerable freight costs. This means that we are mostly successful with the special configurations of your product, that our local producers cannot make, or the small products like LU Series. What do you appreciate the most about Tecfluid’s service or/and flow and level measurement equipment? Definitely the reliability for both the service and products is what I appreciate the most. For sure you work with many industry sectors but which would you say is the field which your company is more focused on? Which products are more demanded in this field? Our biggest market segment for our business is the Water and Wastewater treatment industry but this is not the biggest market segment for your products. The mining and mineral processing industries are also very major for us and this is the market segment that is strongest for our business with Tecfluid flow and level measurement equipment. Which are your main types of clients? From which industries do they come from? Our main customers are small engineering companies that provide “supply, install and commission” solutions to the end user. We also work with large production customers for direct supply and we also supply a lot to chemical suppliers who provide their customers with control solutions for managing the use of their chemicals. And what do you think about the evolution of Tecfluid in the last 26 years? Which were the implications of this evolution (if applicable) for Process Control Services PTY Ltd? I have enjoyed working with Tecfluid and experiencing their evolution. They have evolved by improving all aspects of their business and this has been a positive experience. Which aspects do you think could be improved concerning our company and products? There is always potential for improvement in all aspects of a company and their products. However, in Tecfluid I have not detected a specific area that is demanding significant improvement and that is a result of continuous improvement over many years. We were not able to supply all Tecfluid Ex products to the industries with hazardous environments because our local regulators do not accept the ATEX certifications and require IECEx certification. Recently the TH7 transmitter for the SC250 and DP65 have obtained IECEx certification and this has begun to open new business opportunities. If more of Tecfluid’s Ex products included IECEx certification, we would have greater potential business in the industries with hazardous environments (as oil & gas, chemical etc). In addition, our market has an increasing demand for low voltage powered product, mainly 24VDC. This is because our main supply is 240VAC and requires a certified technician to install and maintain instruments with this supply. Low voltage products are safer and do not require certified technicians to install and maintain so our customers have a strong preference for 24VDC powered instruments. We have difficulty to sell products like the CU100 that only have the 85/265VAC power supply and so require a certified technician to install and maintain. Which do you think are the main challenges for the instrumentation industry players in Australia? Our country is open to products from all manufacturing sectors around the world. Our customers are equally open to products manufactured in Europe, North America, South America, Africa and all parts of Asia including India and China. This generates strong competition and puts pressure on pricing. We need to sell with sufficient margin to enable us to provide a good technical support facility in our business so our customers can be confident in dealing with us. As the world becomes smaller with internet buying moving into industrial products our main challenge is to maintain pricing and margins that still enable us to offer site visits and good technical support. And finally, could you please share with us any anecdote that happened during the last 26 years of business collaboration with Tecfluid? 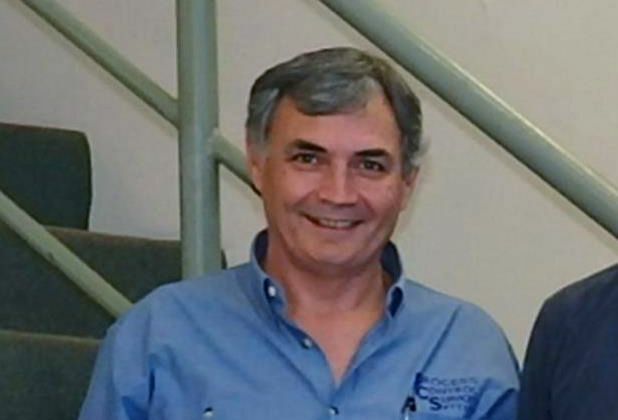 The most significant comment I have about the 26 years with Tecfluid is that I have had the same primary contact person for most of that time, Miguel Angel Reina. The continuity of this contact for so very long time has been a great benefit when working with Tecfluid and for the enjoyment of working with Tecfluid. It has always been a great pleasure to visit the Tecfluid factory in Barcelona and spend time with their people. I greatly appreciated and enjoyed the visit from Miguel to Australia. It took several attempts but it finally happened and was a very worthwhile and enjoyable experience. Our company is very proud to be a nominated distributor for Tecfluid. Thank for your kind collaboration John. We hope to have you as a partner for at least another 26 years! 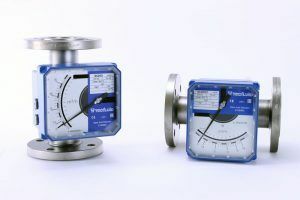 PreviousPrevious post:We obtain the IECEx certificate for use in explosive atmospheresNextNext post:XL1 – New converter for electromagnetic flowmeters: accurate and reliable measurements.